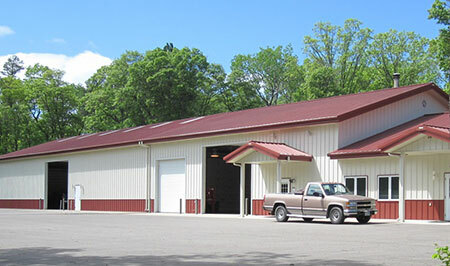 Since 1978, Rudbeck Manufacturing has set the standard for maintenance and servicing of waste oil heaters, heating components, and waste oil boilers. 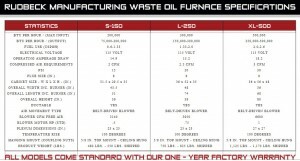 We have the knowledge and ability to service all types of waste oil heaters. We can assist you in the repair of your product by providing a staff member to aid in trouble shooting over the phone, or if you would like, send us your gun burner assembly and we can repair it in the most efficient manner possible. We are working together with Wedco to produce a highly efficient and environmentally friendly product that in time will pay for itself over and over! Rudbeck Furnaces are heavy duty, reliable and easy to maintain. Our system works around the common problems of other brands such as circuit boards ans snap switches, which are prone to fail. 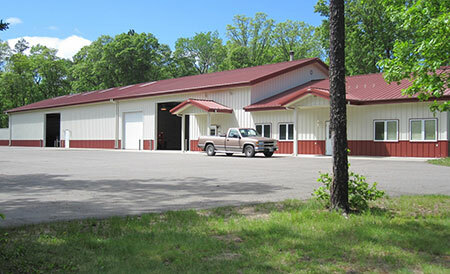 Our products have 10 – 12 gauge steel cabinets and 4 inch flu tubes giving you an extra 200 -500 hours between servicing. 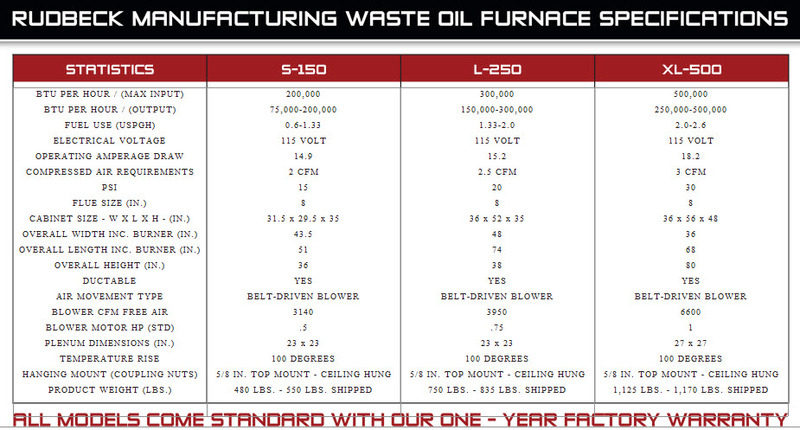 Rudbeck Waste Oil Furnace Specifications – Click for larger view.